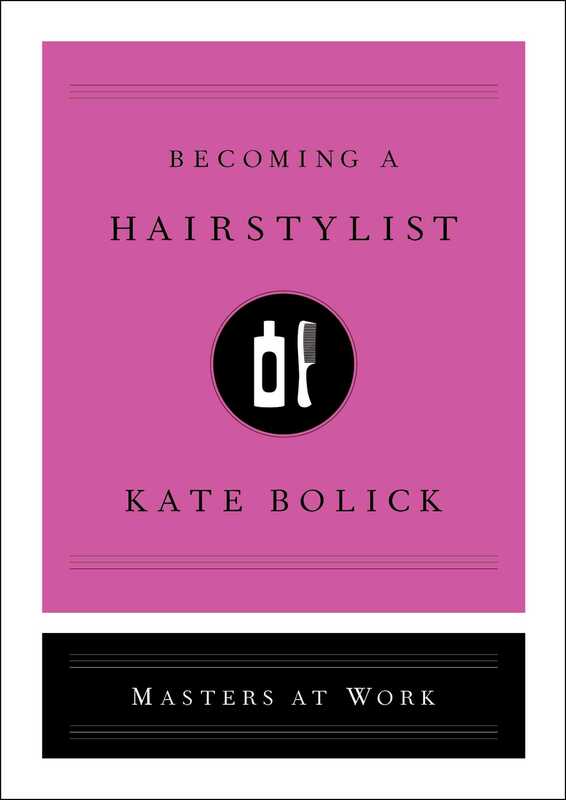 Based on the real-life experiences of an expert in the field, an immersive, accessible guide to a career in hairstyling brought to life by acclaimed writer Kate Bolick—essential reading for anyone interested in this creative and dynamic profession. Gwenn LeMoine sees the world through the lens of hair. The daughter of two hairstylists, she has taken her natural talent to an entrepreneurial level and is now the owner of Parlor, a wildly popular, two-location hair salon in the East Village and Brooklyn. A pioneer with four decades of expertise in styling eccentric celebrity personalities, LeMoine works with clients such as such as Piper Kerman, Rue McClanahan, Molly Ringwald, Twyla Tharp, and William Wegman, to name only a few. Her work has also been featured on television (SNL, VH1, ETV), in magazines (Real Simple, Nylon, The New York Times, and Paste), and at awards shows, such as the Tonys and Emmys. 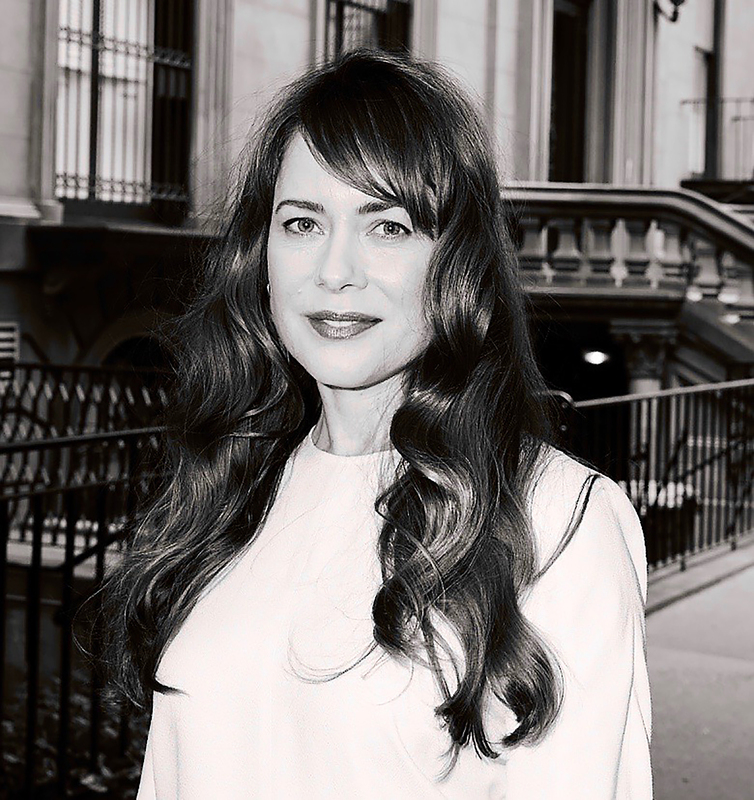 In Becoming a Hairstylist, Atlantic columnist and New York Times notable author Kate Bolick provides a compelling profile of a career in hair styling through the life of LeMoine, and offers us a glance at a day in the life at Parlor. The perfect resource for anyone interested in a career in cosmetology, Becoming a Hairstylist portrays how to excel as a stylist—at any age and for all types of customers. It is a brutally hot summer afternoon in Manhattan, the kind where merely waiting for the subway causes sweat to drip down your face and drop onto your shirt. If you make the mistake of boarding a car with broken air-conditioning, you’re doomed. But when you get out at your stop in the East Village, things start looking up. Walking east on the shady side of Seventh Street, alongside the leafy green of Tompkins Square Park, you turn south onto Avenue B, and know that all is about to be right with the world. Sure, the block is on the gritty side—but that’s a good thing. It’s one of the last reminders of the “old” East Village of the 1960s and ’70s, when America’s punk rock scene and the Nuyorican literary movement were born here. The neighborhood has cleaned up a lot since then, along with so much of New York City. At first glance, it would appear that your destination, the popular Parlor hair salon, bears no relation to that former countercultural moment. Tucked between a specialty spice shop and an anonymous-looking youth center, Parlor’s white-brick facade and black-and-white-striped awnings appear particularly crisp, even jaunty. On the sidewalk out front, a sandwich board with the salon’s logo—a whimsical silhouette of a woman with an elegant updo, set into an oval like a Victorian cameo—announces a special on blowouts. But when you pull open the big plate-glass door, you step into a world where anti-establishment values are paramount. Unlike those other high-end boutique hair salons, the ones that cultivate a glossy, high-fashion veneer—and in a city like New York can feed on all-too-human insecurities—Parlor is a haven of individuality, inclusivity, and comfort. It is easy to understand why so many people celebrated for their idiosyncrasies have been drawn here over the years, from famous actresses such as Molly Ringwald, Mary-Louise Parker, and Rue McClanahan, to the singer-songwriter Adele and the artist William Wegman. Yes, there’s the immediately blissful cool of air-conditioning. But in the grand scheme that’s a minor detail. What makes Parlor special is how all the elements, big and small, add up to a uniquely welcoming environment. Eason Polk, the young man helming the reception desk, welcomes you with a big smile and gestures toward a small table set with two glass jugs: cold water and iced herbal tea. You help yourself to a glass of each. Originally from Houston, Texas, Eason has worked at Parlor for just over a year as the guest case manager, part of the “front of house” team that wears many hats. Like many of Parlor’s employees, when he’s not on the clock he devotes his time to creative and volunteer pursuits, in his case designing a high-end clothing line and mentoring LGBTQ youth. Behind him, in the main room of the salon, the rest of Parlor’s beauty squad is occupied in various stages of consulting, cutting, coloring, and styling. The space is bright and cozy at once, sunlight spilling through tall windows onto redbrick walls and dark wood floors. In the background, an upbeat-yet-mellow song by a slightly obscure band is playing. There are seven stations in all, three along each wall and one in the middle. At each is an upholstered green leather swivel chair, like an old barbershop chair, and a giant Art Deco mirror, giving a feminine touch to an otherwise neutral space. Each station is neatly stocked with every conceivable styling tool: multiple types of steel scissors, both the basic “haircutting shears” and the specialized “texturizing shears” for chunking, thinning, and blending. Then there are straight razors, clippers, edgers, sectioning clips, and four types of combs (wide-tooth, tail, barber, and all-purpose, both rubber-and steel-tipped). The cheerful chatter. The hum of blow-dryers. The friendly music. The ringing phone. The combined effect is like the gentle burbling of a brook, or the low murmur of a fine-dining establishment, without the clatter of cutlery against dishes. Through the back windows you spy a stone Shiva set atop a garden wall, amid a colorful tumble of flowers and plants. On this sweltering day, LeMoine is in a midlength sleeveless black jersey dress with a handkerchief hem and black Doc Marten brogues. Her copper hair gleams prettily in the sun, like a shiny penny. Her client is in her late fifties, thick chin-length curls dyed a dark chestnut brown, nearly black. She is at an impasse. LeMoine nods. She gets it. As they continue to muse over the social implications of going gray, LeMoine pulls out her iPhone and calls up an image bank of gray-hair options. Scrolling through, she explains that there are ways to color the hair that show a lot of the gray, but not all of it, and require less maintenance. The client asks questions. Their conversation becomes so absorbing that LeMoine grabs one of the green metal stools from beneath the window and sets it beside the styling chair, so she can sit and talk more easily. They remain like that, scrolling and talking, for forty-five minutes. It’s amazing how long LeMoine lingers with her clients—as if she has all the time in the world, and not two businesses to run. Eventually they decide on a medium brown with caramel highlights that will allow the gray to remain visible without dominating, and LeMoine disappears into the back room to prepare the color. It is such an ordinary, undramatic scene. No life-changing transformation. Not even any of the pastel “fashion colors” so trendy at the moment. And yet those forty-five minutes embody a half century of change in the hair industry. THE STORY OF HAIR has always been fascinating. Ancient Egyptian women used the juice of juniper berries to cover their gray. Ancient Roman women fermented leeches in vinegar for months, before applying the pungent paste to their hair as black dye. Marie Antoinette’s gravity-defying hairdos rose as tall as four feet above her head. Native Americans believed that braided hair signified unity with the infinite. But the story of hair has never moved as quickly as it has over the last half century. The pace of change is unprecedented in human history. And central to this story are hairstylists. Until the modern era, the intimate act of doing our hair—washing, cutting, styling—was a strictly private affair, attended to at home among family, or, if you were rich, with the help of servants. Not until the late 1800s did women venture out to salons and pay strangers to manage their locks. And not until the 1960s did these paid professionals become recognized as the innovators and change agents they’re known as today. Recently The New York Times published an essay by a woman who drove 2,130 miles across seven states, from Colorado to Manhattan, to get a haircut, she was that devoted to her hairstylist. Fifty years ago, such loyalty would have been unimaginable. By midcentury, it was common for women to pay weekly visits to their local salon to keep their hair coiffed. Convention was king, and beauticians and hairdressers, as they were known, did their best to help everyone look like everyone else, deploying hot rollers, bobby pins, and ozone-layer-destroying amounts of hairspray. Like hospital attendants or electricians, these blue-collar tradespeople were valued for their technical skills, and not expected to have ideas of their own. Whatever extraneous talents a hairstylist might have brought to the job—an eye for proportion and scale, a knack for creating a sympathetic bond with the client—went largely unnoticed, if not by the clients themselves, then certainly by the world at large. It was the beginning of a hair revolution. In a couple of years, Vietnam protesters would flout their long “dirty hippie” locks, and members of the Black Power movement would pick their hair into giant Afros. Starting in the 1960s, and ongoing to this day, an avalanche of social, political, and technological advances transformed the hair industry. But before all that happened—before, perhaps, it even could happen—we had to undergo a seismic shift in how we conceive of and relate to our hair, and this shift began in the styling chair. As television and magazines furthered the reach of movie stars and celebrities, and more women tapped into the expressive capabilities of fashion, everyone began to regard their hairstylists differently. They saw that the people winding their hair onto rollers weren’t mere technicians, but specialists who possessed knowledge and expertise. “Instead of bullying the man who does her hair,” Vogue continued, “she’s apt to think of him as one of her five or six most trusted friends, sympathetic, clever with his hands, full of amusing information about one person or another, up on the avant foreign flicks, not unaware of fluctuations in the stock market, and certainly a better source of advice than the best gypsy on the block.” That is, someone you might drive across seven states and 2,130 miles to go visit. Of course, 1962 was still the early days. The hairdresser-client relationship may have been transformed—but hairstyles hadn’t, not yet. Vogue’s feature is illustrated with photographs of women wearing enormous, elaborate hairdos involving multiple hairpieces that wouldn’t look out of place at Versailles. Most notably, however, though the article is about “The World’s Greatest Hairdressers,” of the six assembled—all men—the most important hairdresser of the era is absent: The British wunderkind Vidal Sassoon. IN 1954, A TWENTY-SIX-YEAR-OLD Sassoon opened his first salon, in London’s posh Mayfair district, with the express intention to revolutionize hairstyling. “I wanted to eliminate the superfluous and get down to the basic angles of cut and shape,” he later explained. He was interested in working with a woman’s hair as it grew from her head, rather than torturing it into impossible, high-maintenance sculptures. His most famous innovations—the “wash-and-wear” and “five-point” cuts—were low-maintenance in the extreme. In 1968, the film director Roman Polanski paid Sassoon $5,000 to come to Hollywood and chop off Mia Farrow’s long blond hair in front of reporters as a publicity stunt for Rosemary’s Baby. Her soft, fetching, and totally effortless pixie cut immediately became a mass sensation. This isn’t to imply that inside every hairstylist is a latent genius. Rather, Sassoon’s worldwide fame blew the walls off what had been a small, closed room. Formerly an option of last resort for people who couldn’t afford college, the dead end of a non-career path where originality and ambition went to die, today the hair industry is a thriving, vital, and ever-growing sphere of creativity, possibility, fashion, and sophistication. This goes for everyone involved, whether a recent beauty school graduate just starting out at a local salon, or the celebrity spokesperson for a global hair-care brand. Few people have been so well-positioned to witness, so close up, the modern hair revolution as Gwenn LeMoine. Born to two hairstylists in 1963, she was raised in a salon just as the industry began to change. As an adult, she became an industry pioneer. Today she has four decades of expertise under her belt. Kate Bolick’s first book, the bestselling Spinster: Making a Life of One’s Own, was a New York Times Notable Book. A contributing editor for The Atlantic, Bolick writes for a variety of publications, including The New York Times, The New Republic, The Wall Street Journal, Cosmopolitan, Elle, and Vogue, and hosts “Touchstones at The Mount,” an annual interview series at Edith Wharton’s country estate, in Lenox, MA. Previously, she was executive editor of Domino and a columnist for The Boston Globe.